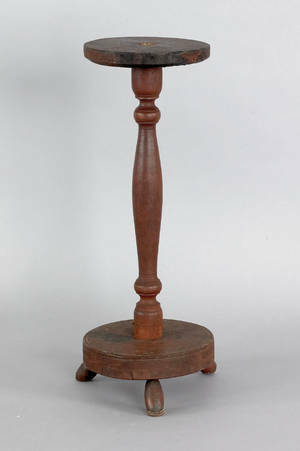 Realized price for Pine and oak candlestand, ca. 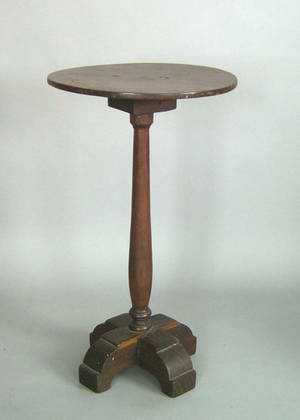 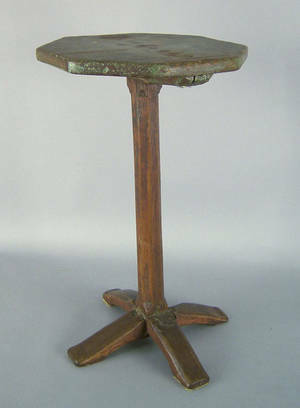 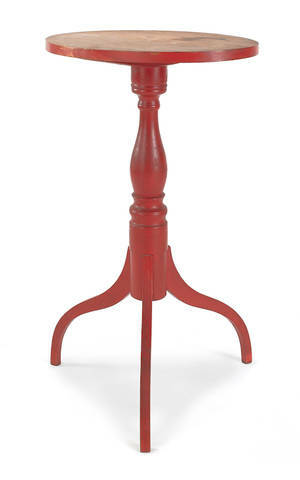 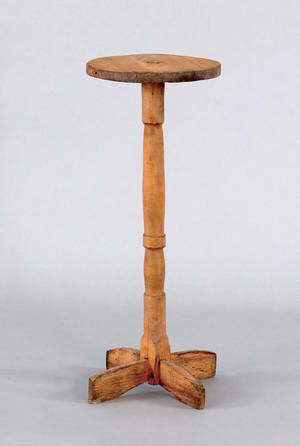 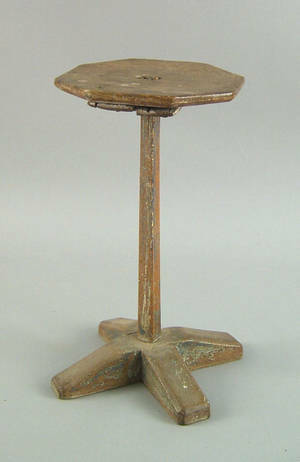 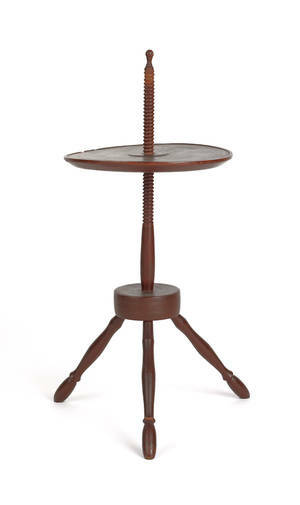 Pine and oak candlestand, ca. 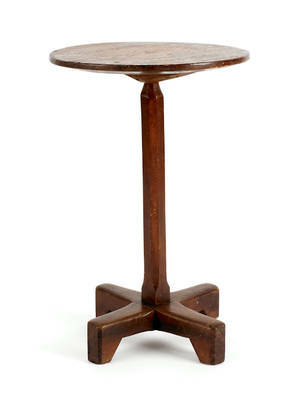 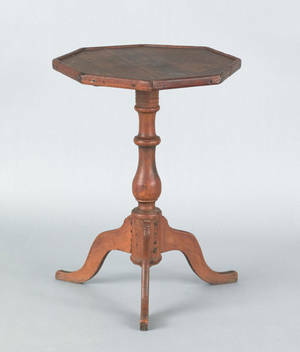 1740 , with an octagonal top and crossed shoe base, 25 1/2" h., 14 3/4" w.
American maple, yellow pine, and oak candlestand, 19th c.